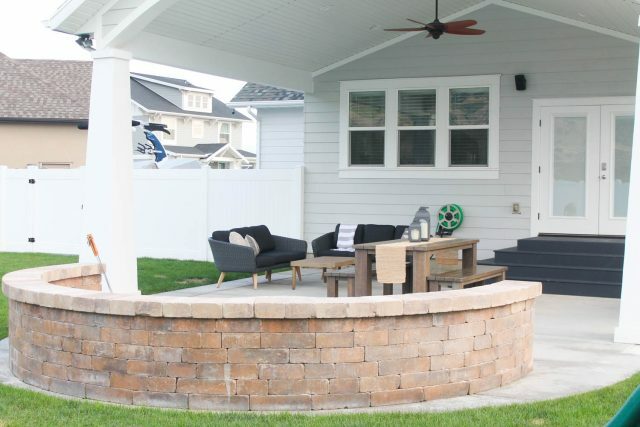 My husband and I love entertaining, especially during the warmer months when we can barbecue and enjoy delicious food outside with our friends and family. We built our house three years ago, but as many of you know, you don’t get a whole lot of options as far as customization goes, most of the time. We had a small 10 foot patio when the house was built and it just wasn’t going to cut it. 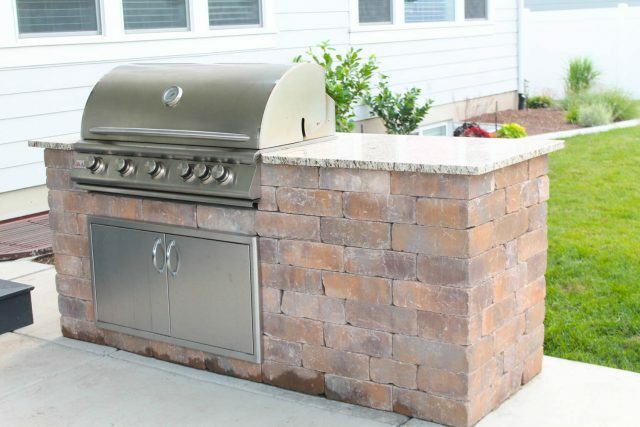 After saving up some money, we added a poured some cement to increase the size of our patio, added a cover, built-in grill and put in a fire pit. The only thing missing was somewhere to sit down and relax! You might remember our living room makeover we did with Article a few years ago. Article makes beautiful, modern furniture at fair prices and I have always loved their products. We have the Ceni Collection, and even after 3 years, it still looks like it is brand new! Because Article is an online only brand, which means they cut out the middle man to keep prices low and quality high. Article doesn’t pay for expensive rent, sales commissions or floor models so they pass those savings onto the customer – a savings of 30% lower than regular retail prices! 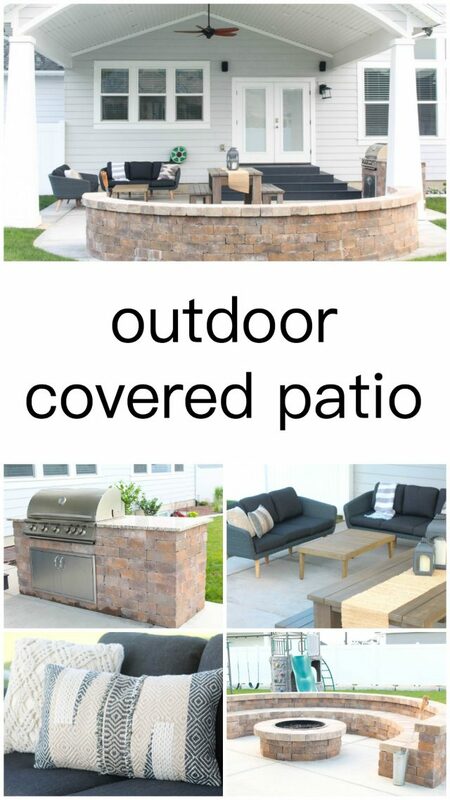 When I heard they now offered outdoor furniture, I was sold! 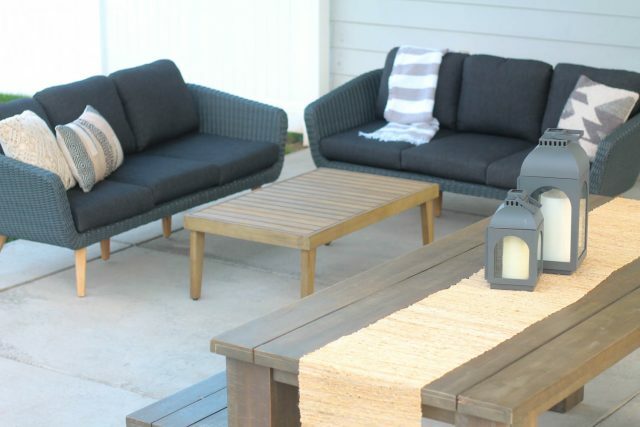 I love this Ora Beach Sand Sofa in Slate Gray so much that we decided to put two next to each other to create a space where people could visit and relax. 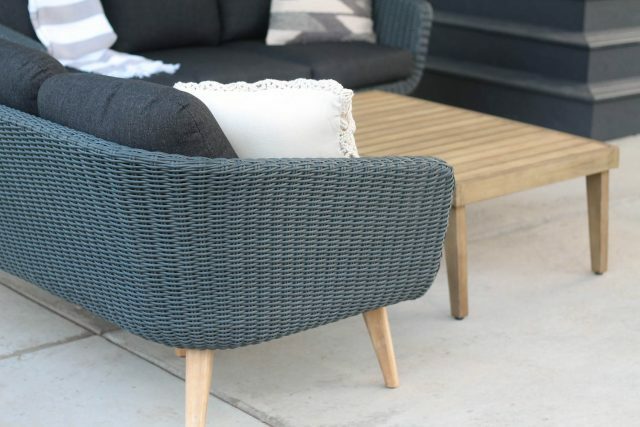 I love that the wicker is water-resistant and that the legs are made of solid acacia wood so you know it will last a long time. I’ve had other outdoor furniture before and it wouldn’t last very long being left outside all the time. 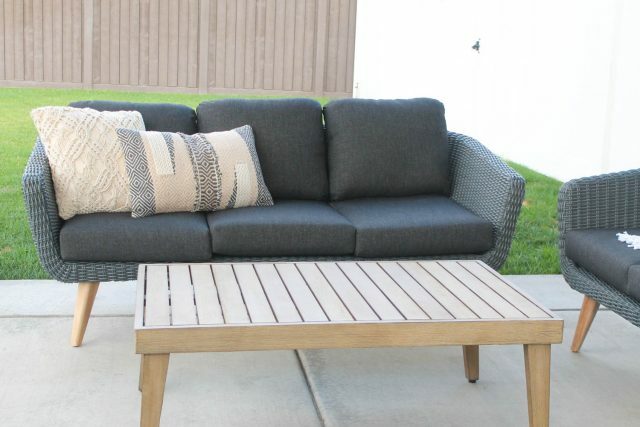 The cushions on this sofa are all water-resistant so if a drink is spilled or the kids’ water fight gets a little too crazy, you’re totally fine! 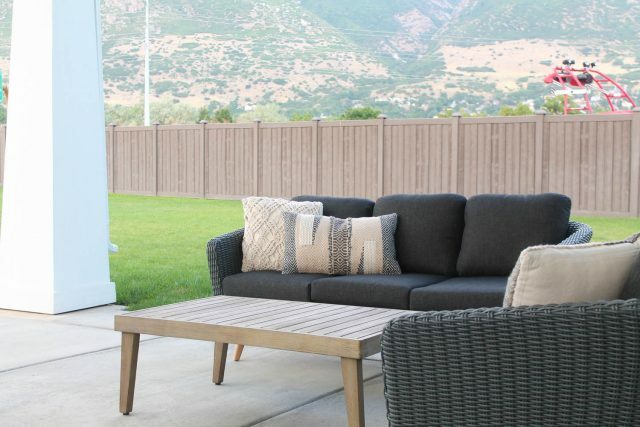 With 4 kids and a puppy, I knew I needed outdoor furniture that was durable and easy to take care of. I love that I can easily wipe the cushions off with a damp cloth and they are good to go! 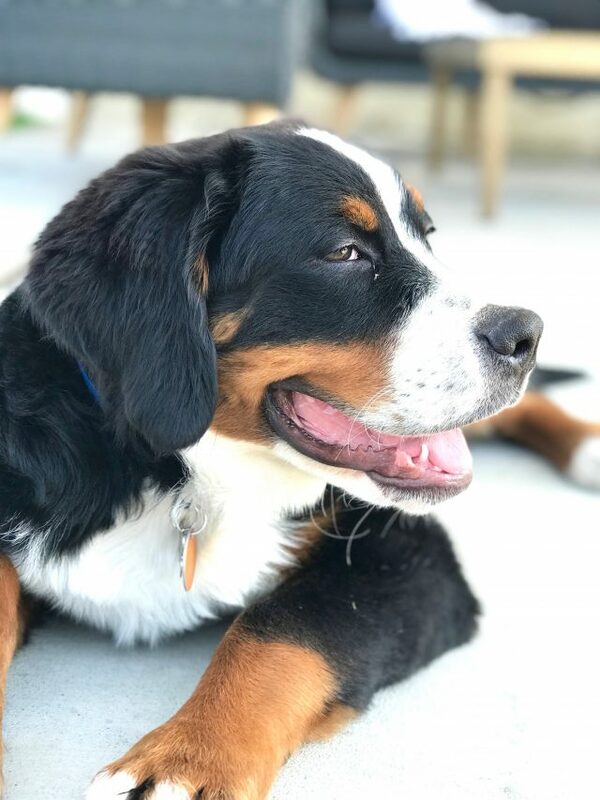 This might be my new favorite spot to relax! These Ora Sofas have created the perfect space for our family and friends to gather, relax and make memories together. 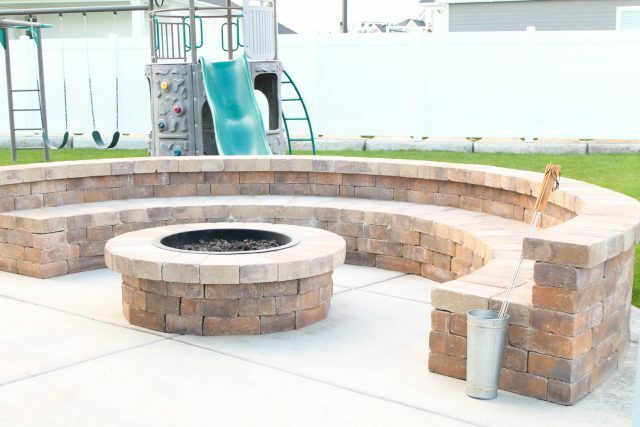 Be sure to check out Article for all your outdoor furniture needs! We have been so impressed by the quality and design of their furniture inside and out.